Richard is very personable and approachable. His open and honest communication style is very refreshing and is a rare commodity in his industry. Richard prides himself on prompt replies to questions and inquiries as well as taking action regardless of the time of day it may be. He is a family man and conducts himself accordingly. We found Richard to be successful where other agents were not. His multi faceted marketing techniques and total commitment to us as clients were phenomenal. I would STRONGLY RECOMMEND Richard to anyone seeking a professional and positive real estate experience! As a law office, we have had numerous clients express how pleased they have been with the service Richard has provided them. Whether buying or selling a home, Richard goes the extra mile to ensure your happiness and peace of mind. He makes himself very available to his clients and is extremely personable and genuine. Richard helped us buy our first home almost five years ago. It took us almost a year of looking to finally decide on and purchase a home and Richard was extremely patient and informative through the process. We are now looking into buying a new home and again Richard has gone above and beyond to show us that he genuinely cares that we find exactly what we are looking for. We have never felt pressured by him and we have complete confidence that he has our best interests in mind. We feel very grateful to have Richard for our real estate agent and we highly recommend him. Sold our house in Montreal and moved to Victoria. We consider ourselves very lucky to have had the chance to work with Richard here. Different markets, different ways. Richard provided intelligent advice at every step of the process. He understood rapidly what we were looking for and was super effective to organize visits and provide suggestions on proprieties we could be interested in. Always available, always helpful, always patient when we changed our minds. In the (always stressful) offer process Richard was professional knowledgeable, calm. He followed our needs and never put any pressure on us. A real pleasure to work with. Would need a 6th star for the rating. But then I met Richard Gadoury he was sincerely up front with real answers and a genuine difference in his demeanor. I asked him what he could do for me that the other 5 realtors couldn’t. His answers were impressive & unrehearsed and I realized he was someone I would be able to count on to make this happen for me, not just himself. My place was on a lake in Victoria BC and we had made it into our dream home. It was unique in many ways and a dream come true for most. But it required someone who understood the value of what it offered and who were looking for such a unique opportunity. This narrowed the market and made it more of a challenge to sell than your average home. Adding to the challenge, I began the listing in July when the season was winding down. Richard immediately put it on the MLS but he never waited for the phone to ring! He diligently went to work cold calling many businesses & professionals he thought may love the place. He also personally contacted other realtors far and wide looking for someone who could appreciate the unique qualities and lifestyle. His willingness to work at selling my place was impressive. And he was genuinely supportive to get the price I wanted, not just to sell it quickly at a bargain price. The whole time he worked with me I was repeatedly impressed with his integrity and creative efforts to find a buyer for the terms I wanted. And he did it! During a down market, end of season, challenging unique property…he sold my home for over $300,000 more than some of the other realtors had suggested to even list it at! And he did it with 3 potential buyers wanting to place offers the same day! The entire time, Richard was very respectful, genuine, honest and hard working. He never led me on, or tried to “sell” me on dropping my price. He let me vent when I needed to and he supported my needs all the way. I’d recommend Richard Gadoury to anyone who is looking to get an honest deal for selling their property! He worked hard, got it done and made it a positive experience for me. I’ve already told everyone I know and hope this reaches others. Great job, Richard! Thank you Thank you Thank you. We were lucky to have Richard Gadoury join us in the sale of our home. We had been in our home for over 26 years and Richard made the sale of our home a quick and efficient process. Selling a home can be a stressful process and Richard helped to guide us along the way. He is very knowledgeable about the real estate market and has a great reputation for selling homes in a short time frame for asking or above asking price. Due to being in two different towns during the sale of our home Richard always kept us informed every step of the way, even being available at all hours and days. We would not hesitate to recommend Richard Gadoury to have as your realtor whether buying or selling your home. Thanks Richard for all your help. I have been telling many of my clients about our real estate agent, Richard Gadoury. And their eyes pop open…I never heard of a real estate agent doing these kind of things for a seller/buyer. Richard has been professional and attentive to our needs when it came to looking for a new property and selling our last one. He walked with us through this process, and we grew to trust him. Absent of all artifice and sales talk he came to us over and over with integrity, transparency and a matter of factness that allowed the job to get done all in excellent fashion. We are highly pleased and grateful for everything that Richard has done and highly recommend him. It is a pleasure to have worked with Richard to sell my home and purchase a new one. I met Richard when he was selling the home across the street. He kept in touch after the house sold to provide market information on homes selling in my area. When it was time to sell, it was an easy choice to ask Richard to be my realtor. He was always professional and able to provide the information and advice I needed to successfully sell my home for the price I hoped to obtain. When it was time to look for a new home, Richard created a profile of all the requirements I was looking for. He patiently took me to many places at my convenience. He also followed promptly to provide information on potential homes that was not available during viewings. I eventually found the home that met all my needs and six weeks later I am as happy with it as the day I first walked through it. Jackie and I have bought and sold an average of 1 property every 2 years ever since I arrived in Victoria 12 years ago. During that period, we became very disenchanted with the Realtors Victoria for numerous reasons. However, one young Realtor by the name of Richard Gadoury totally blew our minds with the amount of effort he put into selling our place. As a result, we are satisfied we got the best possible price considering the current market conditions. Hiring Mr. Richard Gadoury as our real estate to sell our unique Victoria-Fairfield property was the best decisión we made. Richard worked closely with us to achieve a successful result in the sale of our property. To say that Richard is good at all the behaviours required in real estate sales like marketing and client relations etc., would be an understatement. His knowledge and perception of the real estate market, particularly in Fairfield, was instrumental in making our property sale well organized and stress free. We are pleased to write this reference letter, and we would call upon Richard to assist us in any future real estate activity we engage in. I want to thank you very much for your dedication to being a very professional realtor. Having never met, you quickly took over the listing (long distance) of my home and sold it in short time, ensuring I received top dollar. I had a good feeling about listing with you just from talking with you on the phone. I’m glad I trusted my gut instincts and changed realtors. I only wish, I had met you when I first listed my place. Thank you so much! I met Richard in the summer 2010 when he was handing out his real estate leaflets. I saved it - not only for the awesome spinach dip recipe he included - but also because he lived in the neighbourhood. I knew I was leaving Victoria in the not too distant future, which was hard to grasp so I wanted a fellow Fairfield resident on my side. Six months later at the grocer, I bumped into him again and we made an appointment to discuss listing my home. His knowledge of the market and professionalism boosted MY confidence in the market and selling my home. Richard was patient with me. As a working mom who only lived in Victoria half the week, getting the to-do list ticked off wasn't easy, but he was very helpful - he painted trim just to get it done. I'd have to say that when I didn't take his advice regarding timing the listing or price selection, for instance - it caused a set back. When I let him lead me through some tough decisions we had great success. Richard worked and worked and worked. Not only did he sell my home to a nice couple in town, he found a buyer for THEIR home and the deals went through as elegantly as could be. 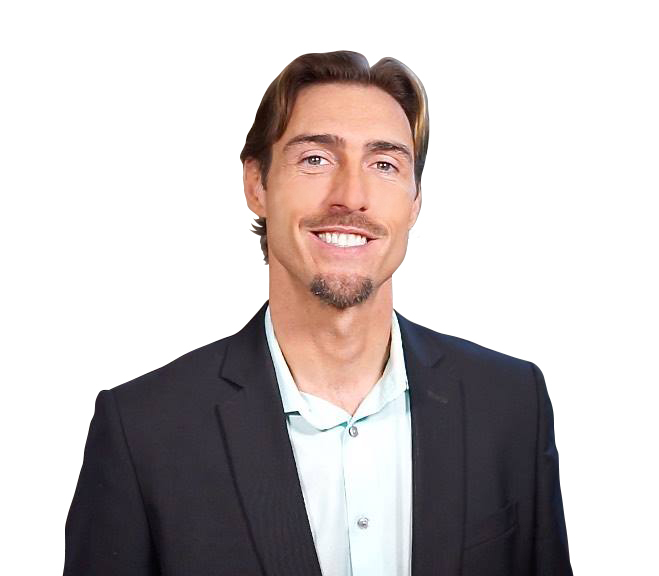 His experience as a business owner, the holistic way he lives and practices his profession make him a better realtor than others. I recommend Richard Gadoury to be your realtor, absolutely. After looking for a revenue property in Fairfield for over a year, I met Richard and he found a deal for me right away. Although the house wasn’t on the market, Richard thought the sellers would be interested in selling and arranged a private viewing. From the time I made an offer until the time I got possession, he skilfully guided the transaction with solid advice and open communication. When issues arose, he went the extra mile to make sure everyone stayed on track. He is principled, organized, motivated, and a pleasure to work with. I would highly recommend Richard as a Real Estate agent to anyone. As first time home buyers, we appreciated Richard's honesty, patience and work ethic, Richard was helpful and accommodating in all aspects of the home buying experience, and genuine with respect to finding the right home for us. I look forward to working with Richard in the future, and highly recommend him. Richard made the selling and purchasing process very easy and stress free. He accomplished all my real estate needs and I would highly recommend his services. When dealing with my father’s estate I had to find a realtor. This was my first time dealing with selling a home. Of the 4 realtors I called, Richard came to our first meeting prepared, provided helpful information in a straightforward manner that was not intimidating. He took initiatives in contacting people involved with the estate, rather than sitting back waiting for things to happen. This impressed me because others did not follow up. I feel Richard is a man that knows his business; he will go the extra mile to make sure his clients understand each step of the home selling experience. Other realtors I interviewed low balled their market evaluations; Richard suggested a price we were pleased with. He sold our fathers home for top dollar, in less than a week’s time! It has been a pleasure to have this person working with us, I recommend him to any one selling or buying a home with the upmost confidence. Thank You Richard. You made the painful need to sell our parent’s home easy and uncomplicated. Richard is a dedicated real estate agent who has made buying our first home a wonderful experience. Richard often willingly put in many extra hours during evenings and weekends. His knowledge was extremely helpful and his advice always appreciated. Richard was always professional whether dealing with us, other agents or other parties. He was quickly able to identify what was most important to us and always filled house hunting trips with positive energy. We found Richard to be approachable, honest and genuine. We look forward to dealing with Richard in the future and gladly recommend him to others. I recently sold my house that I lived in for 30 years. I raised my family there so it was a very emotional time in my life. Richard was extremely patient and understanding. There was never any pressure and I really appreciated that. He was so supportative in helping me find just the right condo. I felt very fortunate having Richard as my REALTOR and highly recommend him.